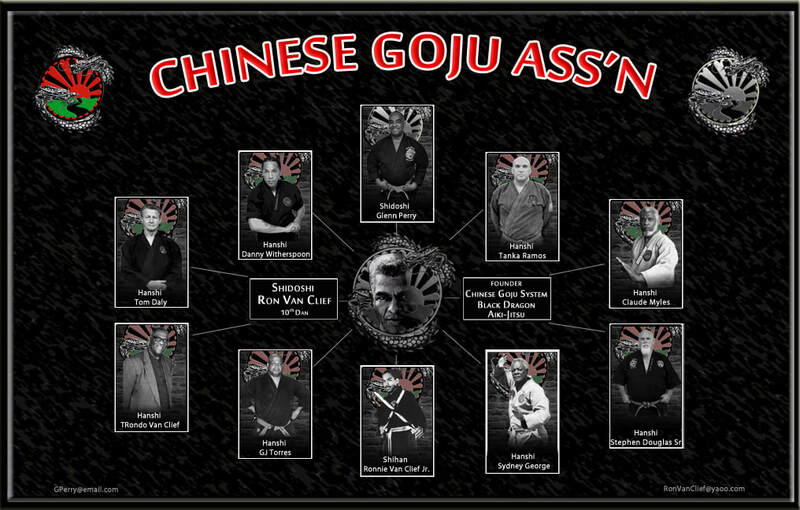 The CHINESE GOJU SYSTEM was founded in 1971 by Shidoshi Ron Van Clief. 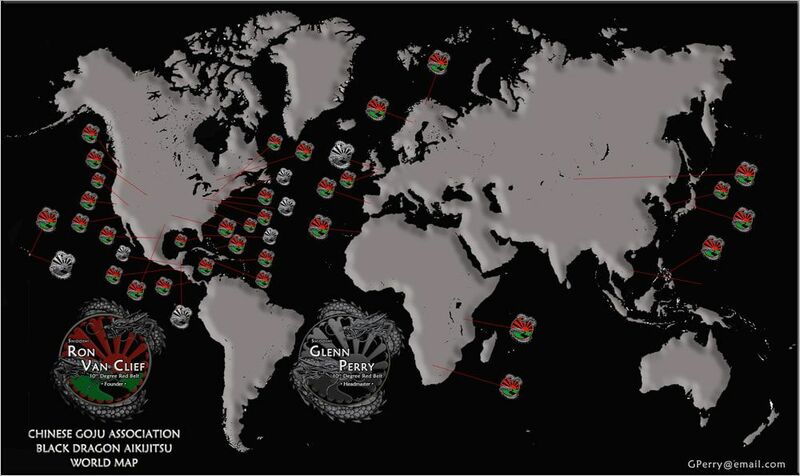 The System is a total martial arts concept combining the Eastern and Western ideologies with American ingenuity. The system is influenced by the circular hand movements of Chinese arts he has studied along with the grace and power of Japanese Goju Ryu Karate. The basics of Chinese Goju are a reconstruction of martial arts philosophy, popular ideologies and self defense strategies. The basic concept evolve around wide use of diverse weapons, blocking and striking at the same time, the blocks are usually executed with open palms, focused strikes, fast, powerful and precise. The movements are executed strategically in and out and circular side patterns, in contrast to traditional karate of hard style, were the movements are linear, straight forward and back. The essence of Chinese Goju is the development of the individual based on his/her capabilities and their maximum human potential. Through proper training in the art of Chinese Goju the student acquires the mental, physical and spiritual harmony necessary to acclimate to the ever changing environment in which we live work and play. Chinese Goju teaches fluidity and flexibility of the mind and body for human development and through the introspective perception developed within the martial arts criteria. Advanced students understand the full range of their human potential; with the implementation of Chinese Goju philosophy, the student understands Goju ideology, hard and soft in concept and technique. Chinese Goju teaches its students that change is constant. The martial arts we practice must evolve and allow us to adapt as we continue to train and mature into our senior years.